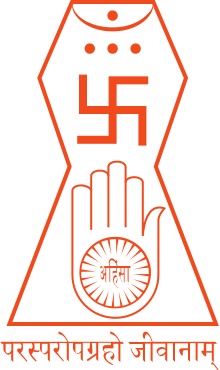 Jainism has been engaged in debates with the other philosophical and religious traditions, in which its theories and practices have been questioned and challenged. There are two criteria of criticism of any system of thoughts; one is based on rational evaluation of its doctrines, texts, teachings and practice, and the other criterion pertains to the consistency or inconsistency of the practitioners in applying the teachings. Jain' Karma is also questioned on the grounds that it leads to the dampening of spirits with men suffering the ills of life because the course of one's life is determined by karma. It is often maintained that the impression of karma as the accumulation of a mountain of bad deeds looming over our heads without any recourse leads to fatalism. However, as Paul Dundas puts it, the Jain theory of karma does not imply lack of free will or operation of total deterministic control over destinies. Furthermore, the doctrine of karma does not promote fatalism amongst its believers on account of belief in personal responsibility of actions and that austerities could expatiate the evil karmas and it was possible to attain salvation by emulating the life of the Jinas. The doctrines of anekāntavāda and syādavāda are criticised on the grounds that they engender a degree of hesitancy and uncertainty, and may compound problems rather than solve them. Critics submit, Jain epistemology asserts its own doctrines, but is unable to deny contradictory doctrines, and is therefore self-defeating. It is argued that if reality is so complex that no single doctrine can describe it adequately, then anekāntavāda itself, being a single doctrine, must be inadequate. This criticism seems to have been anticipated by Ācārya Samantabhadra who said: "From the point of view of pramana (means of knowledge) it is anekānta (multi-sided), but from a point of view of naya (partial view) it is ekanta (one-sided)." It is impossible that contradictory attributes such as being and non-being should at the same time belong to one and the same thing; just as observation teaches us that a thing cannot be hot and cold at the same moment. The third alternative expressed in the words—they either are such or not such—results in cognition of indefinite nature, which is no more a source of true knowledge than doubt is. Thus the means of knowledge, the object of knowledge, the knowing subject, and the act of knowledge become all alike indefinite. How can his followers act on a doctrine, the matter of which is altogether indeterminate? The result of your efforts is perfect knowledge and is not perfect knowledge. Observation shows that, only when a course of action is known to have a definite result, people set about it without hesitation. Hence a man who proclaims a doctrine of altogether indefinite contents does not deserve to be listened any more than a drunken or a mad man. Bal diksha or the induction of minors in monastic order is criticised as violation of children's rights. Several child rights activists and government agencies questioned the practice and intervened in some instances. Several Jain institutions see this as an interference in religious matter. The legality of issue was discussed in courts and Gujarat high court advised the state and central government to bring legislation to curb the practice. Since 1955, four attempts to get a legislative bill against Bal diksha passed in Parliament have failed. The gazette notification of July 13, 2009 stating that Bal Diksha as practiced under the Jainism do not come under the provisions or the jurisdiction of the Juvenile Justice Act, was celebrated but found forged later and the case was filed for forgery. Sallenkhana is a procedure in which a Jain stops eating with the intention of death. It was petitioned that Rajasthan High Court should declare the practise illegal. In response, the Jain community said that the practice was a religious activity which was protected under article 25 of the Indian constitution. In August 2015, Rajasthan High Court cited that the practice is not essential tenet of Jainism and banned the practice making it punishable under section 306 and 309 IPC (Abetment of Suicide). But a few days later, The supreme court of India stayed the High Court's order. In 2016 a 13 year-old girl died after fasting for 68 days, causing a police investigation against the parents after a child rights organisation filed a complaint. The religion of Jains included women in their fourfold sangha; the religious order of Jain laymen, laywomen, monks and nuns. The early svetambara scriptures prevented pregnant women, young women or those who have a small child, to enter to the ranks of nun. Regardless, the number of nuns given in those texts were always the double of the number of monks. Parsva and Mahavira, two historical teachers of Jainism has huge numbers of female devotees and ascetics. According to the svetambara's scriptures such as Chhedasutra, women were given lesser authority than their male counterparts. The reasons for this, in the commentaries, were that things which could endanger the vow of chasity should be avoided. Nalini Balbir writes that the belief that women are more fragile then men were all-pervading in these texts. The Digambara sect of Jainism believes that women must be reborn as men in order to achieve liberation. Digambara school of Jainism maintain that women cannot take higher vows of ascetic renunciation. The Svetambara sect, however, disagrees with this position, holding that one of the Tirthankaras, Mallinath, was a woman and even today the majority of Svetambara monastics are female. ↑ For the Jain refutation of the theory of God as operator and dispenser of karma, see Jainism and non-creationism. ↑ Enakshi Ganguly Thukral; Bharti Ali (1 January 2005). Status of Children in India Inc. HAQ Centre for Child Rights. p. 10. ISBN 978-81-901638-3-5. ↑ "9-year-old girl induction as Jain sadhvi kicks off legal storm over child rights". India Today. 2004-06-14. Retrieved 2015-05-10. ↑ "Bal Diksha: Final hearing on August 1". Indian Express. 2009-07-13. Retrieved 2015-05-10. ↑ "Baldiksha". Sify.com. 2015-05-03. Retrieved 2015-05-10. 1 2 "Rameshbhai S Vora & 5 vs State Of Gujarat on 8 May, 2015". Indian Kanoon. Retrieved 2015-05-10. 1 2 admin (2015-05-09). "HC tells Gujarat govt to curb Bal Diksha". Gujarat Global. Retrieved 2015-05-10. ↑ "Jains celebrate Bal Diksha victory". dna. 2009-06-10. Retrieved 2015-05-10. ↑ Choksi, Mansi (2009-06-08). "Jains throng temple to cheer Centre's `positive steps' towards bal diksha". The Times of India. Retrieved 2015-05-10. ↑ Nair, Manoj R NairManoj R (2009-05-09). "Jains want custody of '˜Bal Diksha' boy Shubham". Mumbai Mirror. Retrieved 2015-05-10. ↑ "Rajasthan HC bans starvation ritual 'Santhara', says fasting unto death not essential tenet of Jainism-I News - IBNLive Mobile". IBNlive. 2015-08-10. Retrieved 2015-08-10. ↑ "Supreme Court stays Rajasthan High Court order declaring 'Santhara' illegal". Retrieved 2015-09-04. ↑ "India parents investigated after Jain girl dies from 68-day fast". BBC News. 2016-10-10. Retrieved 2016-10-10. 1 2 3 Balbir, p. 122. 1 2 "Religions - Jainism: Jain sects". BBC. 2009-09-11. Retrieved 2011-09-28. ↑ Sexual Knowledge, Sexual Science: The History of Attitudes to Sexuality edited by Roy Porter, Mikuláš Teich. pp. 71–72. Nalini Balbir Sharma, Arvind (1994). Religion and Women. SUNY Press. p. 121. ISBN 978-0-7914-1690-7.